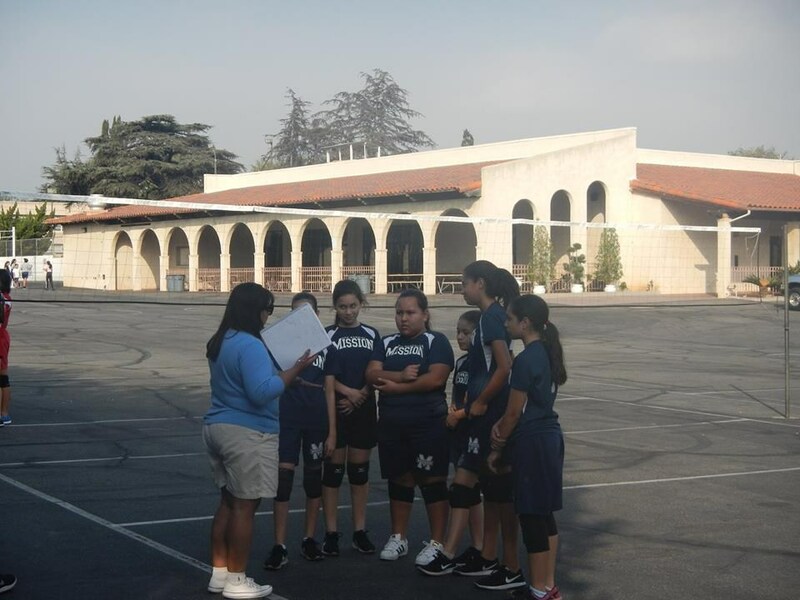 San Gabriel Mission Elementary School has a proud tradition of athletics. Interscholastic sports are an extension of a strong-based physical education program geared to meet the needs of every student and is considered a vital part of our curriculum. Participation in the after-school sports program is strictly optional, and there is a fee collected from each participant to defray costs of referees. Additionally, because athletes are students first, students are required to maintain minimum academic and behavior/effort grades to participate. We offer an after school sports program to all students in Grades 5-8. Our sports program is sponsored and organized by the C.Y.O. (Catholic Youth Organization). The Boys' program offers "A" level football, basketball, and volleyball. When there is student interest and qualified volunteer coaches, "B" levels of these sports are also offered. Girls' program offers "A" level volleyball, basketball and softball. When there is student interest and qualified volunteer coaches, "B" levels of these sports are also offered. Track and Field is offered to boys and girls in grades 3-8 when there is sufficient student interest and qualified volunteer coaches. Tournament competition is an extension of league play. Parental permission is required. Students must maintain a satisfactory G.P.A and Behavior/Work Habit grades. Either a faculty member or volunteer parent/adult coaches teams. It is the parent’s responsibility to provide transportation to and from all extra-curricular activities. Student participants pay a fee/sport to cover uniforms, referee fees, equipment, tournament fees, etc. To help support our program, parents are required to support our school tournaments and games throughout the year by donating needed items, helping at tournaments in the snack bar, and cheering for our teams as fans.